Sewage lift stations are used for pumping wastewater or sewage from a lower to higher elevation, particularly where the elevation of the source is not sufficient for gravity flow and/or when the use of gravity conveyance will result in excessive excavation and higher construction costs. Often called lift stations, units are commonly built as a factory assembled package system. Key elements of lift/pump stations include a wastewater treatment receiving well (wet-well), equipped with lift pumps and piping with valves, a junction box, and an equipment control panel with alarm system. The submersible type lift/pump station can be utilized on low flow, low head type installations. Two types of pumps are available for this application, grinder pumps and solids handling pumps. A properly designed wet well is essential for efficient and trouble-free operation of the lift/pump station. 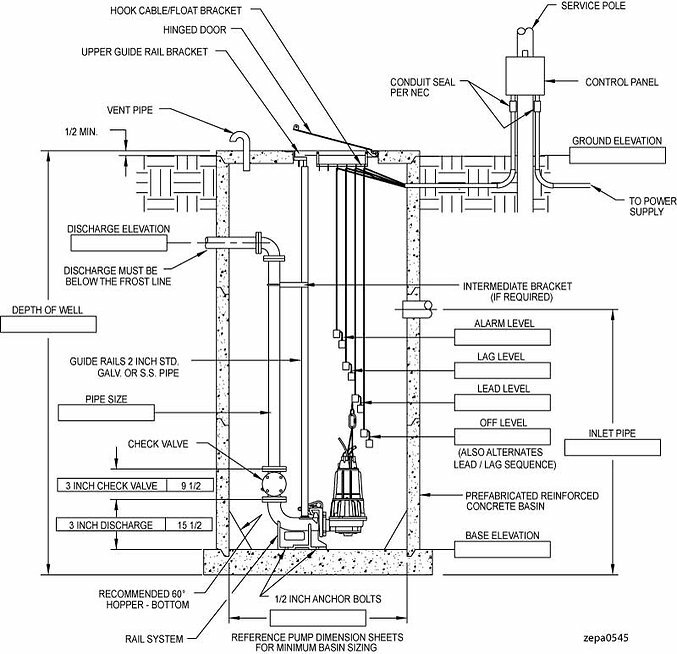 The purpose of a wet well is to provide a means of allowing automatic operation of the lift station with a simple control. Use of the wet well for any other purpose, such as a storage reservoir for sewage, is not recommended. The wet well should be as small as possible in order to minimize detention time of the sewage. Should the wastewater remain too long in the wet well, septic action may occur. Although, the wet well should be large enough so excessive starting and stopping of the lift station pump will not take place. 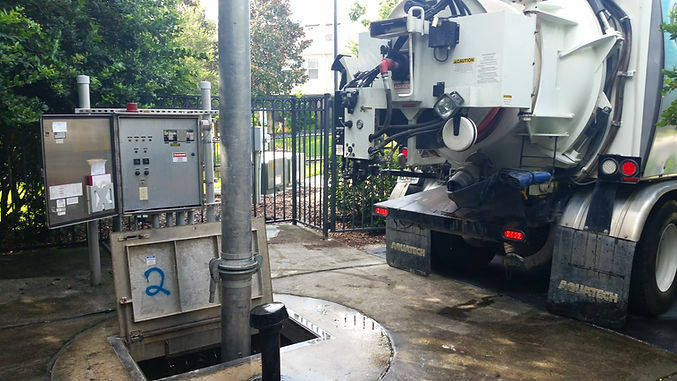 Advantages of submersible lift/pump stations are that they typically cost less than dry-well stations and operate without frequent pump maintenance. Submersible lift/pump stations do not usually include large above ground structures and tend to blend in with their surrounding environment. For the most part, an engineer can anticipate a life expectancy of 15 – 20 years or more from steel lift stations. This is more than adequate in cost cases, since the anticipated flow rates are usually designed for only ten years expansion. Steel lift stations are coated with a high solids epoxy paint system and further protected by anodes to deter cathodic action.